Little did you know when you purchased your rice cooker that you brought a multi-purpose cooking pot. I would like to share with you many other foods you can cook with the electric rice cooker like the Cuckoo rice cooker. You can make a complete meal for one person or a complete meal for an entire family. Larger rice cookers will come with a steam tray that fits in the top of the cooking pot. This will allow you to steam some veggies while you cook your rice in the bottom of your pot. You can start with breakfast and end with an evening meal and make it all in your rice cooker. You can learn the art of cooking quinoa in a rice cooker. The Aroma Rice Cooker is a great place to start. Let’s start with the beginning of your day. What could be more satisfying than having a bowl of hot oatmeal on a cold winter morning.? Maybe you are eating oatmeal to help lower your cholesterol and this will be so convenient for you. Whatever your reason, your rice cooker is here to help you . To make oatmeal, you will use the same ratio of water and oatmeal as you would if you were making it on the stove top. It is best to leave the top open if you are using one of the smaller rice cookers to prevent it from boiling over. Add some cinnamon and raisins before the cooking process for something a little different. You can also make any of the other hot cereal brands on the market such as malt-o-meal. 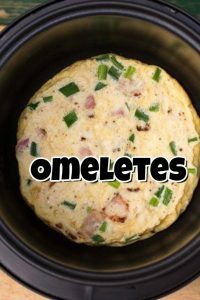 It is possible to make scrambled eggs in your rice cooker also, but you will have to watch it as they cook just like you would if you were doing stove top cooking. If you are a student living in a dorm and you have a rice cooker, doing scrambled eggs would be a great treat for you since you don’t have access to a stove. Throw in some little smokies and sweet red or green pepper to kick it up a notch. You can really get creative with your rice cooker when you think about making a larger meal. One of my favorites, is making a pot of rice in my big rice cooker in the bottom of the cooking pot. This appliance also has a steam tray, so I steam some small pieces of seasoned chicken and raw broccoli in the top of the unit at the same time. I then just mix it all together before eating it. If you like something creamy, just add a can of cream of chicken soup and allow the entire meal to heat up in the cooking pot again. You can even cook quinoa in a rice cooker as you experiment with new foods for a healthy body. Some other yummy dishes you can make in your rice cooker include chili or chicken noodle soup or plain vegetable soup. The trick is to put all your ingredients in at one time, shut the lid, turn on the cooker and let it happen. What you have is a mini-crock pot and you know how versatile a crock pot can be. They are famous for being so convenient as a countertop cooking appliance and you don’t have to spend hours over the stove. We usually want our evening meal to sustain us through the night, and you can do that by cooking a small roast in your rice cooker. Put the meat, seasoning and water in the cooking pot and turn it on. You can also add some potatoes and carrots along with the meat or put them in the steamer tray for a complete meal. I have fixed a small meat loaf in mine and it took less than ½ hour. I brushed the inside of the pot with cooking oil, placed the meatloaf mixture in and put some catsup on top. The burger had enough fat in it to add great flavor and kept the meat from drying out. 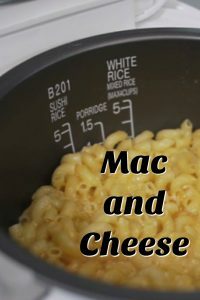 You can also make everyone’s favorite, Mac and Cheese! This makes your rice cooker worth every penny you paid for it. Simply add enough water and the macaroni and let it cook. I like to add a bit of milk to the water before cooking and when you put the cheese in after the pasta is done, it leaves your mac and cheese extremely creamy. 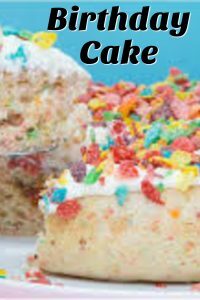 If you have a large rice cooker, you will be able to use a full-size cake mix for your cooking pot. If you have a smaller cooker, use the little Jiffy cake mixes, it makes the right amount without any waste. You can read reviews here about top rated rice cookers. Another great idea for your rice cooker would be the Jiffy box muffin mixes such as banana or spice flavors. If you need something sweet at night, do a Jiffy box of brownie mix and let’s hope you have a glass of cold milk on hand. Don’t be afraid to try an idea of your own and share your successes with your friends. I had some peaches that were getting over ripe so I cut them up and put them in the rice cooker with some water and sugar and surprised myself with a peachy topping for ice cream. Most of the rice cookers on the market today will have some recipes included with their products. My little Aroma rice cooker had 6 new rice recipes along with 4 websites to access in search of other recipes. There are a lot more things that you can do with your rice cooker. If you purchased an expensive one, why not use it for cooking other meals too. If you live alone or there are just two of you in the family and you both work, your rice cooker can be your best friend in the kitchen. 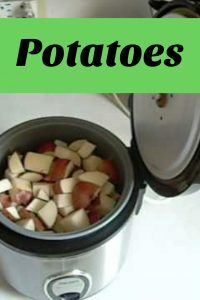 To get more recipe ideas for your rice cooker check out this article on 13 Rice Cooker Recipes You Have To See To Believe here. Have a party with your friends and have them bring their rice cooker full of something they have learned to cook, including rice dishes. The cookers are easy to carry around and are easy to clean up. What could be more fun than trying all their special recipes.